Think Big is indeed a silly one. Lots of bad dialogue and terrible fight scenes. The highlight for me...The Barbarian Brothers RAPPING the intro. did anyone notice the bad cropping of the brothers heads? Having a graphic design background, I did note the quality of the collage. Probably all cut and pasted by hand. Released in 1990, it was just slightly before good, relatively affordable photo editing software. And unless it's just the image, there appears to be some really conspicuous airbrushing on the brothers as well. 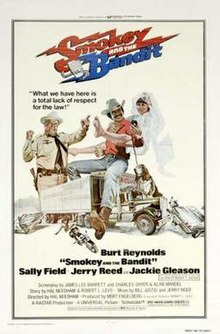 Anybody else notice a similarity to the poster for Smokey and the Bandit? I can't decide if its a coincidence, unconscious imitation or an intentional ripoff. That is a silly cover. I remember seeing that on the shelf at the video store years ago. Every once in a while I'd almost get curious enough to rent it, then put it down and get something else. Someone actually made some money off this extremely lazy idea. And this is definitely not original artwork! Ehhh: Evil Dead...Alien Dead...they're practically the same movie! Is the scribble from the actors? Does this increase the value? What the heck is up with this......slime.. phantom....I guess....of the Toxic Avenger?! 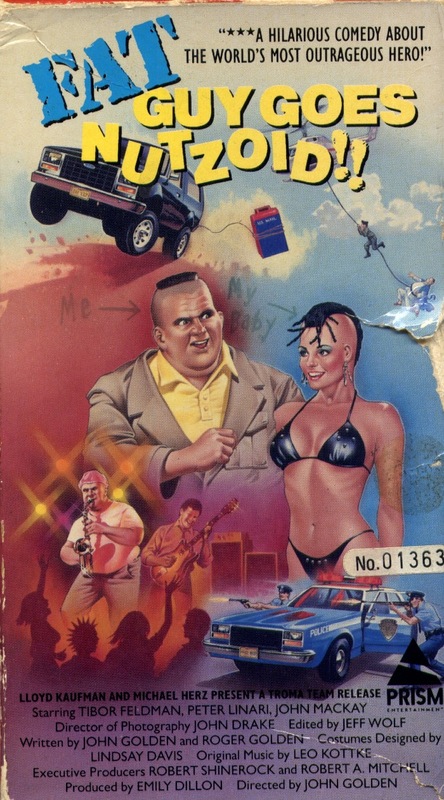 And this Brain Damage cover I actually like BETTER than the VHS copy that I own. but this one just is far more strange and cool lookin'. If only the second were bigger. Saw this on another thread. 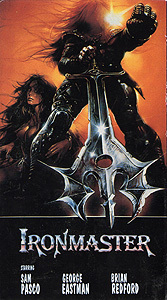 It is cool VHS coverwork, but the sword and the guy are not in the movie, so it is bad coverwork for misrepresenting the product. What?? That mask isn't in the film! Lame. That one is just plain wretched. I feel bad for the filmmakers who had to settle with this. Still, my drawing is like that of a caveman compared to that.